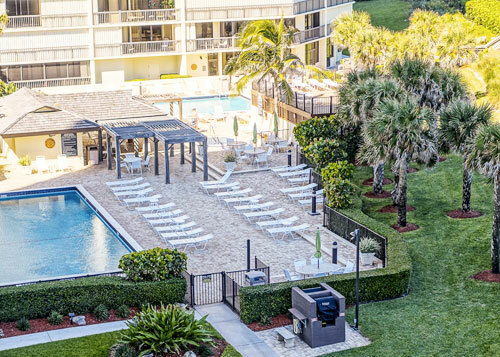 Welcome to the official website for the Islandia I Condominium on Hutchinson Island, Florida. 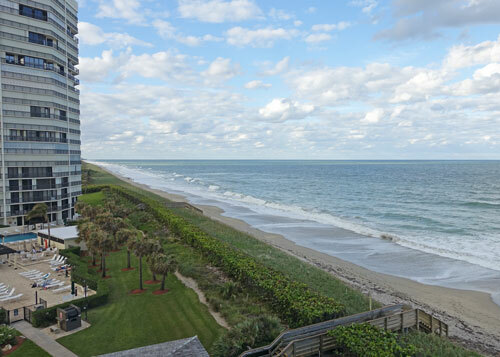 Islandia I, is a beautiful high-rise condominium on Hutchinson Island directly overlooking the Atlantic Ocean. It enjoys the reputation of being one of the best managed and maintained condos on the Island and is known for its community of friendly and welcoming residents. There are 194 units within the 20-story building, each enjoying spectacular views of the ocean and the Intracoastal Waterway. The building amenities include a fully equipped fitness room, a sauna, a billiards room, and a social room with kitchen facilities where residents enjoy frequent gatherings. Access to the beach is only steps away on a private walkway with fresh-water shower and a fish station. Shared with its sister building Islandia II, residents have the use of two heated 50-foot swimming pools, a hot tub, bar-b-que grilles, and tennis courts. A guard house is manned 24 X 7 at the Islandia entrance and unoccupied units are inspected on a regular basis by the building staff to ensure nothing is amiss while residents are away. The Islandia community is an active one where all residents are welcome to participate in bridge, yoga, bocce ball, tennis and golf. Monthly maintenance fees include many desirable features and services: AT&T end to end Fiber with U-verse TV (which includes all home HD-DVR), 100mb secure wireless internet, and unlimited local and long-distance phone service. Islandia, on 60 acres of one of Florida’s most beautiful barrier islands, provides a luxurious environment to meet all the wants and needs of its residents with its unspoiled beaches, tropical scenery and proximity to restaurants, shopping, theaters and golf courses.